Do you know how a baby’s stomach churns when fed with cold milk? Baby bottle warmers are mistakenly seen as luxury items rather than the gem that they are to new Moms. To breastfeeding mothers, a bottle warmer helps to keep micronutrients, minerals, vitamins, and anti-infective properties intact even when exposed to warm temperature. To those who use formula to feed, it guarantees even heat distribution and zero coagulation of milk powder. It’s convenient and easy to use, too! This is a very compact bottle warmer made of safe BPA free plastic. Also it is made in such a way that your bottles are completely safe – be it the glass ones or the plastic ones. As long as your baby food is in a bottle like container with a lid, you can warm that in here also. Also the controls allow you to control the precise temperature of the food or milk. This means that there is no fear of the food or milk being too hot for your child. The size and build are very compact, making it perfect for keeping on the counter without taking up too much space. The beeping feature once the bottle is warmed is a convenient thing. It is really quick to heat with milk taking about 2 minutes and food up to 5 minutes. It is also super easy to clean and keep hygienic. 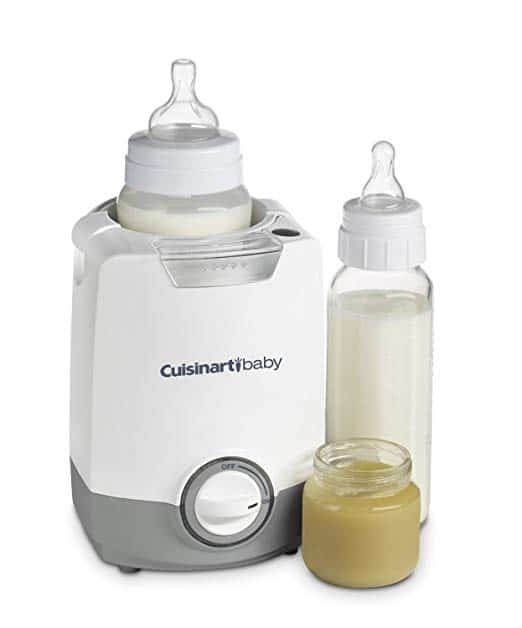 The Cuisinart BW-10 Baby Bottle Warmer is another must-have for new Moms. It warms and evenly heats up any types of bottle and comes with a jar basket to help heat up baby food in a jar. With an integrated night light, this bottle makes middle-of-the-night feedings easier and more convenient. 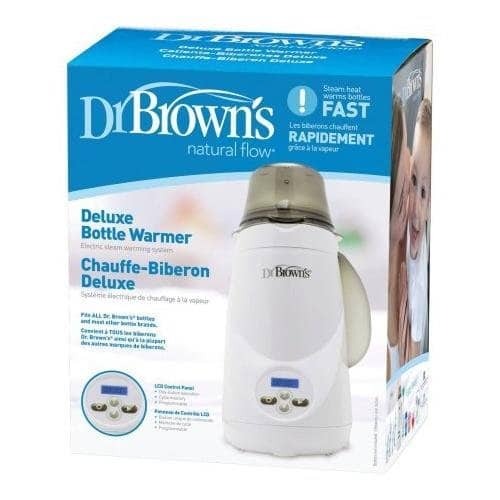 Dr. Brown’s Deluxe Bottle Warmer offers a quick and efficient warming system using steam heat technology that guarantees even heat-up. Simply fill water chamber with water, adjust settings on the LCD control panel and voila! your baby can enjoy warm milk or food when the alarm goes off. When not in use, the warmer shuts down after 10 minutes. Definitely, efficient and budget-friendly. 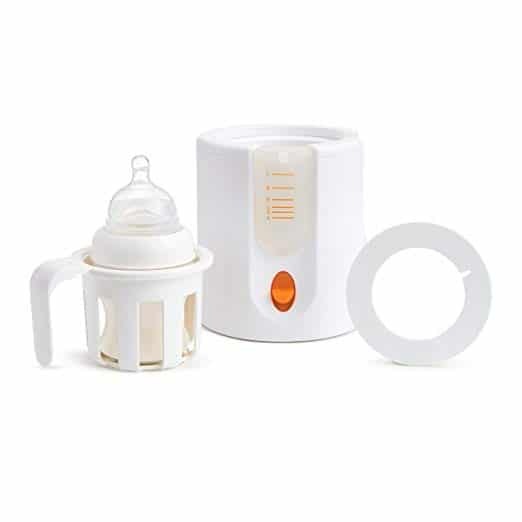 A boon to new parents, the Babebay Baby Bottle Warmer boasts of 4-in-1 multifunctionality making it one of the most budget-savvy and efficient milk and baby food warmers in the market today. It doesn’t only warm milk but also heats up food and sterilizes bottles. 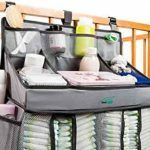 It also features auto heat preservation function making it more convenient to give warm milk or food to a baby each time. With a dual bottle design, you can also warm milk and sterilize a bottle at the same time. 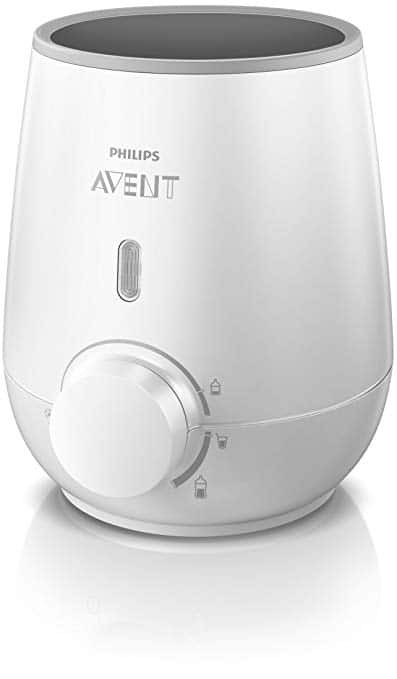 Another mainstay in the top for baby bottle warmer brands, the Philips Avent Fast Baby Bottle Warmer does live up to its name. 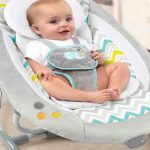 Offering a fast and convenient, it can heat-up a baby’s sustenance in as fast as 3minutes – without sacrificing safety. Though it fits Phillips Avent bottles, it can also accommodate other baby bottles. Simply plug it in and turn it on then, turn the dial to desired heating time. Neon light then, blinks when bottle is heat up properly. Great way to save time and effort! 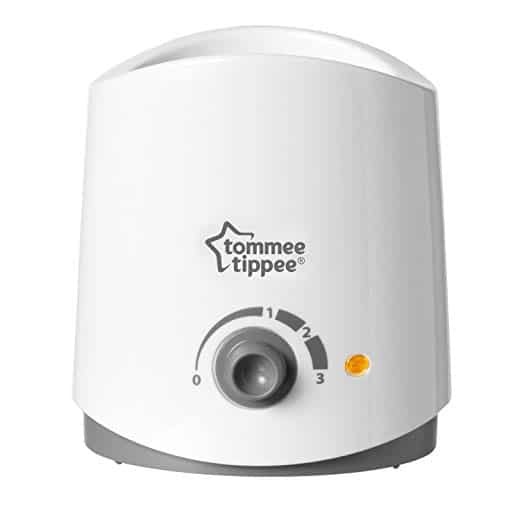 Yet another must-have baby bottle warmer up for grabs is the Tommee Tippee Closer to Nature Electric Baby Bottle and Food Warmer. This BPA-free and phthalate-free warmer does not only heat up cold milk or baby food fast, but also do so without breaking down vital nutrients in them. Easy, convenient and fast, one can heat up milk at around 2minutes and baby food for around 4minutes or less. Simply fill it with water then, program the integrated dial for desired temperature and that’s it! Warm and full baby tummy in a jiffy! Baby bottle warmers come in all shapes and sizes. A hot water bottle warmer, sometimes referred to as water bath, heats up milk by allowing warm water to circulate around the milk bottle or food jar. Steam heat system, on the other hand, makes use of hot plate to produce steam that heats up the milk or baby food. Steam baby bottle warmers heat up faster than a hot water type, but can also lead to nutritional degradation when instructions are not heeded properly. Most products in the market today are electrically connected. There are some though that are rechargeable making them perfect for travelling. For frequent travellers, a car plug-in bottle warmer is a portable solution. This works by simply plugging the warmer into an adapter and connects to the running vehicle to charge, just like how one charges a mobile phone when out and about. Do you need baby bottle warmer? Yes. 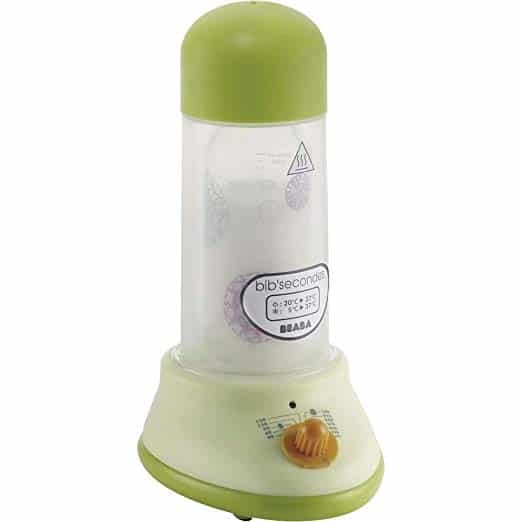 A baby bottle warmer is a handy solution in giving a baby needed sustenance just in time. How long does a bottle warmer last? This largely depends on personal usage. To guarantee longer life expectancy, follow maintenance instructions on the manual. Is a bottle warmer safe for breast milk? Yes. It is, in fact, the safer alternative when heating up refrigerated milk or thawing frozen milk or baby food as it operates with consistent temperature and guarantees non-degradation of nutritional elements in breast milk. Do I need a bottle warmer for formula? Yes. 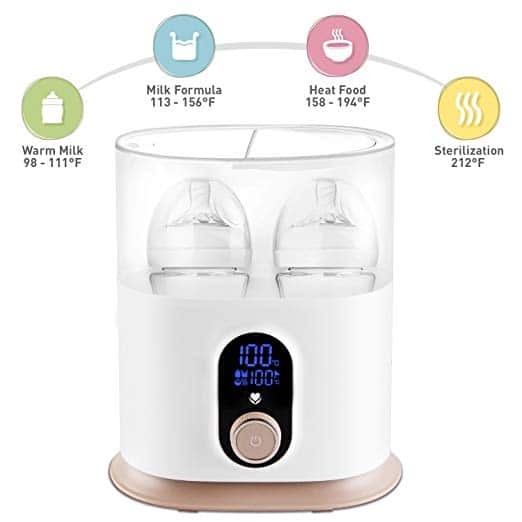 Like breast milk, warming up a refrigerated or frozen formula milk via a baby bottle warmer is a safer and more convenient way to ensure meeting baby’s sustenance anytime. 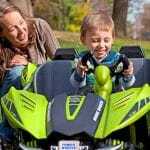 So there you have it –best baby bottle warmer reviews to help you to make the right choice for you and your baby. And once you have picked, ordered and had it delivered, no more worrying about the temperature of baby food.